Religious people love formulas. We love creeds, propositions, systems, and theological conclusions that help us to make sense of the bible, the world, God, life, good, evil, right and wrong. The word orthodox is two Latin words (orthos & doxus) which, when combined mean true beliefs. In more practical terms, orthodoxy is a set of beliefs that everyone (uhem) agrees is true, right, and correct. Once you’ve nailed down orthodoxy, you can just pull it out when you have a question about this or that, and use it to interpret reality. The cool thing about orthodoxy is — once you have the fail-safe formula for knowing true beliefs, you can just toss the Bible aside and use your well-developed and “biblical” system in its place. It’s basically the same thing, right? Why trudge through all that narrative, context, history, audience-specific stuff, genre, and the original purpose for which this or that biblical book was written when you can just reach over and grab the orthodox set of beliefs and use those to answer all your questions. Starting with orthodoxy is faster! Plus, when you use orthodoxy, you get to the same place you’d have gotten to if you had wasted all that time reading the Bible instead. Orthodox beliefs are all based on the Bible. Why else would they be called orthodox? Before I go on, I should say right here that I am not pushing on this because I don’t think there is such a thing as orthodoxy. I do. The Bible is full of statements about things that are true, and things that are not true. Jesus identified himself as the truth, and said that knowing the truth makes a person free. So — true beliefs are essential. A good thing happened to you = you must have done a good thing to deserve it. So, God dispenses the good thing. A bad thing happened to you = you must have done a bad thing to deserve it. So, God dispenses the bad thing. Those texts seem pretty conclusive. If you do good, obey God, and do what is right, God will bless you. If you do evil, disobey God, and do what is wrong, God will not bless you. No. You’ll suffer! Now, back to my encouragement to take a moment to imagine a world where you must interpret all your circumstances along the lines of whether or not you deserve everything happens to you. Isn’t it wholly possible that at some point in their history, Israel would have done this? Isn’t it altogether possible that people with Bibles (especially Bibles that don’t have all the books in them yet) that say “do good be blessed,” and “do bad, be cursed” would tend to interpret every single thing that happened to them along these lines? I think so. And that’s not because God wanted them to make that mistake. It’s just what we do when we stop reading the Bible and instead grab our little “orthodox” statement, system, or formula that we developed while reading the Bible, and start using it for things that the Bible never intended. I know some Christians who have picked and chosen their way through the Bible, landing on texts like these in order to interpret their lives (or the lives of others). Back to the book of Psalms (the book that begins with “If you do good, God will bless you!”). There are lots of other Psalms where this conclusion is actually tested in the fires of real life, and where this perspective is questioned pretty viscerally during times of great pain, trial, and suffering (Read Ps. 10:1, 42:9, 44:24, 73:12, 82:2, 94:3). What if “do good, be blessed,” and “do bad, be cursed” are true (yes, true) beliefs that don’t exactly answer every single question about all the good and bad things that happen to people who may or may not give a rip about God? Further, what if those true beliefs are not intended to answer every question, though they are intended to answer some questions? What if there are people who truly love God, do good, and serve the Lord out of true devotion to him, but terrible things still happen to those people? And what if there are people who hate God and do all kinds of evil things who seem to be getting along just fine? If Israel was ever going to think more carefully about their orthodoxy with respect to these big questions, they would need more information. If their image of God was shaped by misplaced theological conclusions (using orthodoxy in unorthodox ways), then they’d need a text, a story, a theology, and an orthodoxy that would help them to keep thinking — and to think more carefully about what God had already said about the results of doing good vs. doing bad. Enter — the book of Job. 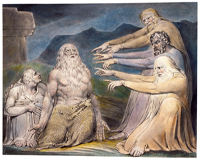 The biblical book of Job helps Israel (and us) to imagine the life of a person who, in a single day, lost everyone and everything important to him. Not only that, but after losing everything, he became depressed, sick, and even despondent — wondering if he really even knew God. On top of all this, a few friends decided to check in for a visit to cheer him up (by insisting that he must have done something terrible, and that he should come out with it! ), followed by an exhortation from his wife to curse God and die! What information did they use to interpret his reality for him? This led to all kinds of questions or conclusions about what Job simply must have done to deserve everything that happened to him, and what he should do in response (e.g., repent, confess, or commit suicide in angry resentment toward God). Some of his friends concluded that his apparent righteousness was really just a show. Nothing like this could possibly happen to a person who really loved God! There is much more that could be said about Job. For the purposes of this post, I invite you to think theologically about your own orthodoxy and how you put it to use when interpreting your own reality, and the reality of others as you watch them experience the good and bad that comes into their lives. There are certainly people who are suffering in this world (and who have brought suffering into the lives of others) as a direct result of the evil they have done. But there are others who, not forsaking their imperfections, have done their best to do good and to follow God — and some of them suffer terribly! In those cases, a so-called orthodoxy of “do good, be blessed, do bad, be cursed” is simply a bankrupt answer to much bigger questions about good, evil, right, wrong, reaping, sowing, and present realities in the light of future promises. 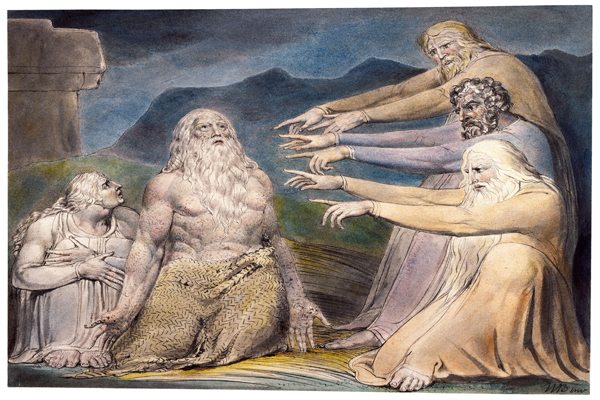 The book of Job helps us to slow down and think more carefully about true beliefs in the face of all this. The tears, they flow. In my experience, it was/is almost just sort of natural to believe that we were being punished somehow. Of course, Zack wasn’t the bad guy–it had to be me… I wasn’t holy enough, close enough to god, I was a fake, I didn’t give enough, love enough, the list goes on. I didn’t even know that my personal orthodoxy was so misaligned. I know isn’t true or how God works, yet, I somehow believed those things were true in my life… Surely I had messed it up for our family. I would be lying if I said that deep down, I didn’t still wonder that… Way down in there. It’s not how the kingdom of God [always] works, but it is how our culture works- you break the law, you go to jail; Charley deliberately disobeys me, she gets a consequence; etc. Plus, it somehow helps our brains to be able to blame someone or something. I have never believed that God has done this to us… To Zack, but I definitely have struggled with the idea that I did something that made Him unable to protect me. The kingdom is very confusing. I like to understand things, they are either “this” or they are “that”…. but that’s not how the kingdom works. God is more mysterious now than I ever understood before. And I am thankful that his ways are higher, but I simultaneously long for the day when I will understand them. It is a daily choice to continue on. I am thankful I met him, thanks for introducing He and I. Although believers by nature, are far from God, and children of wrath, even as others, yet it is amazing to think how nigh they are brought to him again by the blood of Jesus Christ.